Ever since the food truck craze of the years 2008-2010, the streets of L.A. have become a bit more calm and have fallen into a sustainable level of fancy food trucks. It’s clear that we love them and they are here to stay (we’re also glad that we no longer have a new food truck opening every week). Some of the veterans of the food truck wars will be serving up their signature dishes at the 1st Annual KTown Night Market alongside the winners of the first 3 seasons of the Great Food Truck Race on April 18th to 19th. 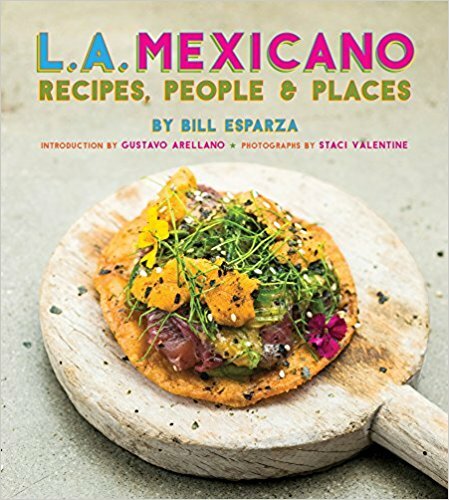 The KTown Night Market is free to the public with over 100 food and merchandise stands, and 40 food vendors representing the multi-ethnic cuisines of the Los Angeles and Orange counties. 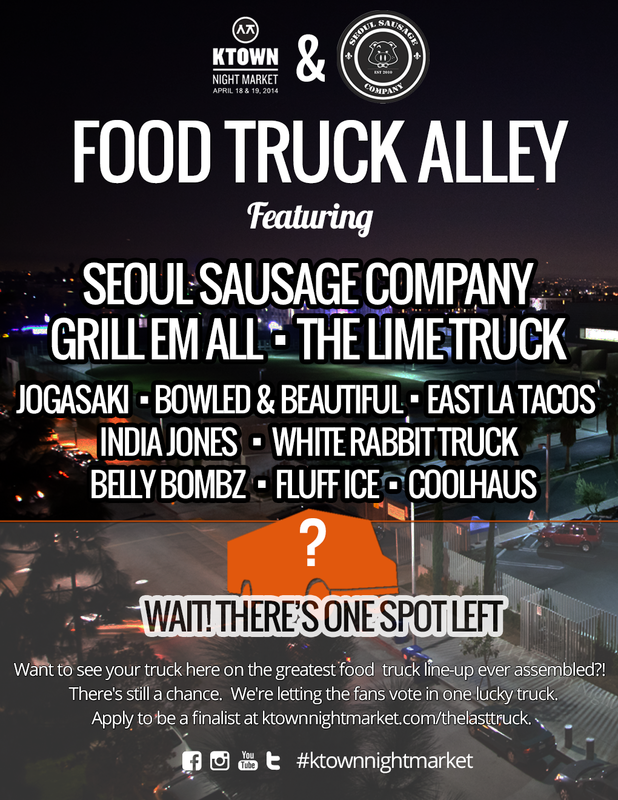 There will be live music to celebrate the special occasion, and with Seoul Sausage in the driver’s seat, L.A.’s newest night market experience promises to deliver the flavor.